This 18 inch thermometer is available is silver color with a glass lens. The case is molded plastic. The wholesale pricing on the homepage includes a full color imprint of your logo or design. Custom case colors are available for larger orders. Ask the Sales Department for a quote on your project. Please include your zip code so we may provide a freight quote. 18 inch thermometers are popular for schools, gymnasiums, businesses and giveaways. 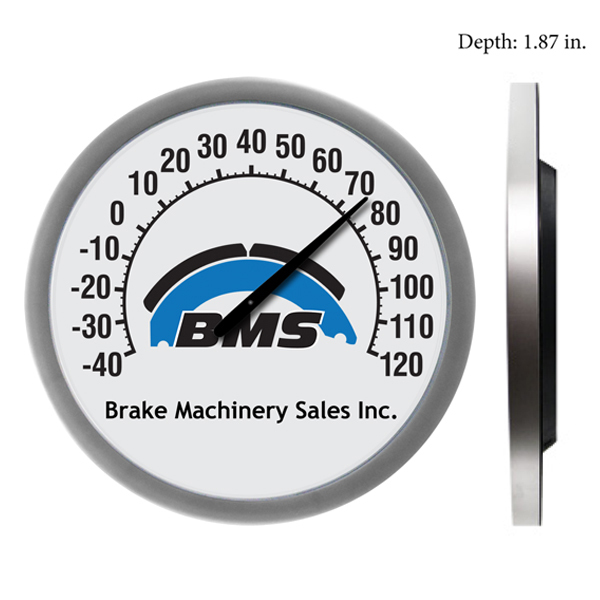 Please email you logo so we may create a free virtual sample of your custom 18 inch thermometer.